The gift will allow the implementation of a system to capture license plates of vehicles entering campus. The funding will also support the installation of an electric stop arm at the guard house for nighttime hours, renovate the guard house, and allow for a security officer to be stationed in the guard house from 8 a.m. - 5 p.m. daily to help direct visitors and monitor campus traffic. 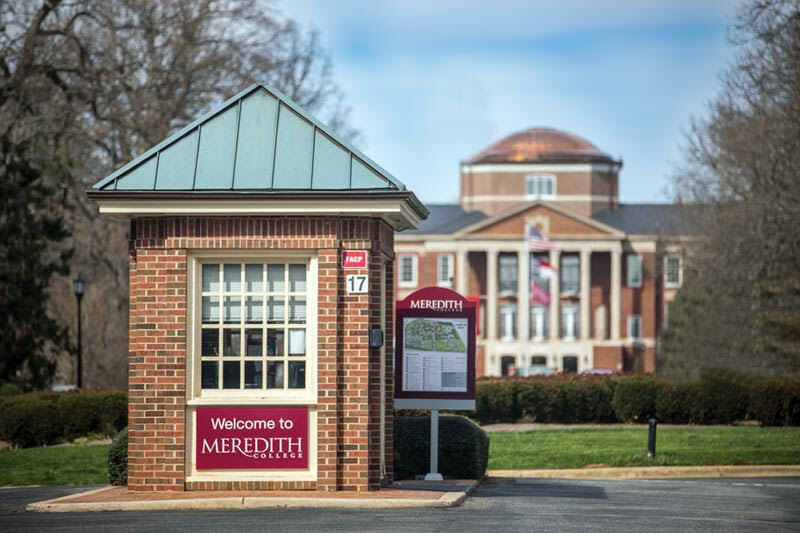 Meredith College’s Parents Council, with input from campus officials, decide which campus improvement project to support each year. The Parents Council consists of more than 50 families of current Meredith students. Parents Council members support the College by being ambassadors, advisers, and patrons. They are known for promoting the Meredith mission through volunteer work, hosting events for parents and alumnae, as well as making generous contributions to The Parents Fund each year.